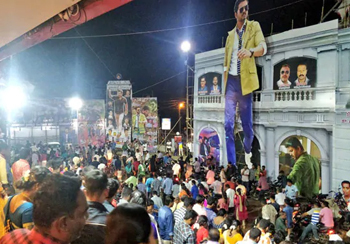 Chennai, Nov 9: With the ruling AIAMDK opposed to the Vijay-starring 'Sarkar' over certain scenes and a character's name, the producer and director of the Tamil movie have obtained CBFC's permission to voluntarily delete some visuals and mute some dialogues, said an official. The Central Board of Film Certification said excisions and modifications carried out in the originally certified movie were: (a) deletion of visuals of throwing a mixie and grinder into fire; (b) muting the name 'Komala' from the full name of the character 'Komalavalli' and removing the same from subtitles; and (c) muting the dialogue 'Podhuppaniththuraia' (PWD) and '56 Varusham' (56 years) and the removal of those words from subtitles. 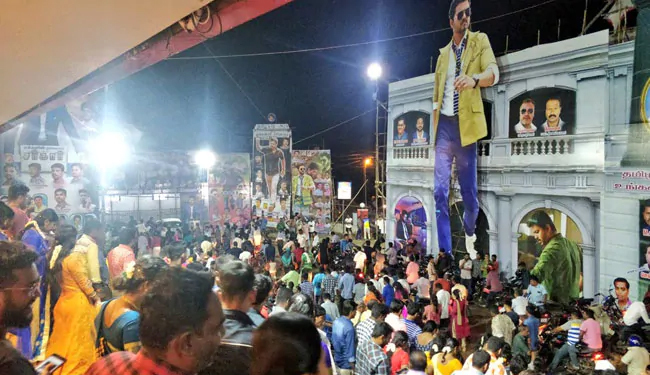 Tamil Nadu Minister for Information and Publicity Kadambur Raju said the issue has been settled as the film unit "has agreed to our demand of removing the objectionable scene." The AIADMK's objection was to the scene that showed the actor throwing out mixie and grinder -- given free by the government to the poor -- into the fire. The other reason for the ruling party opposing the movie is the name of a character 'Komalavalli' which they say is the birth name of their late leader Jayalalithaa. On Thursday state Law Minister C.Ve. Shanmugam compared the scenes (burning of freebies) in the movie with terrorist activity aimed at instigating violence against the state government. Earlier in the day, actor-turned-politician Kamal Haasan tweeted: "It is nothing new for the state government to exert illegal political pressure on movies that got proper certification." "Governments that does not have the guts to accept criticisms will derail. The businessmen group will go and the good people who would come to power will win," Kamal Haasan said. Similarly, actor Rajinikanth tweeted in support of the the movie condemning damage to the film's banners. Meanwhile, the Madras High Court ordered the Tamil Nadu police not to arrest 'Sarkar' movie Director A.R. Murugadoss who had approached it seeking anticipatory bail. He had approached the court after state ministers voiced their opposition to the movie with Law Minister Shanmugam threatening legal action.